Police outside the Manchester Arena last night. The Borders’ two sitting MPs have added their voices to the horror expressed following last night’s terrorist atrocity in Manchester. Their condemnations came after the confirmed death toll claimed by the attack at the Manchester Arena concert venue, following a show by the US singer Ariana Grande, rose from an initial 19 to 22. Ariana Grande at a previous concert. Scottish Secretary David Mundell, currently bidding to retain his Dumfriesshire, Clydesdale and Tweeddale seat for the Conservatives, said: “This was an absolutely appalling incident in Manchester, and my thoughts and prayers right now are with those who have had family and friends killed and injured. “I’d also like to praise the emergency services for their wonderful response to the incident and to others who helped those affected. Calum Kerr, the Scottish National Party’s candidate to contest the Berwickshire, Roxburgh and Selkirk seat he has held since 2015, agreed, saying: “I’m appalled by the dreadful news from Manchester. “It was a particularly vicious and cynical attack on an event that many children and young people were attending. “My heartfelt condolences go to everyone who has suffered the loss of their loved ones and my best wishes to those who’ve sustained injuries and remain in hospital. “Once again, the emergency services have excelled themselves with their response, but I hear too that there have been many acts of selflessness from the public and local businesses, including the many taxi drivers who volunteered to transport people away from the scene. “I’m aware that youngsters from Scotland have travelled down to the concert along with families from all across the UK. Both Mr Mundell and Mr Kerr have suspended campaigning ahead of next month’s general election until later in the week. Two Scottish teenagers remain missing following the terror attack in Manchester, and at least four people were treated in hospitals in Scotland, none with life-threatening injuries, after the incident. However, Scottish Government First Minister Nicola Sturgeon told MSPs today that the authorities cannot yet be sure there are no other Scots affected. The explosion at Monday night’s concert has left at least 59 injured as well as 22 dead. Ms Sturgeon was joined by Scotland’s other political leaders in condemning the bombing as a “despicable act of cowardice”, praising the emergency services and in sending condolences and expressing solidarity with the people of Manchester. Officers have been in contact with the families of Laura MacIntyre and Eilidh MacLeod, two Ariana Grande fans from Barra in the Outer Hebrides known to have been at the concert but not seen since. “It is hard for any of us to imagine the anguish that their families are going through right now,” Ms Sturgeon said. The First Minister said two of the four people who “presented at hospitals here in Scotland” have been discharged, and a third is likely to be discharged later today. “I must stress that we cannot be sure at this stage that there are no other Scots affected, but we continue to liaise closely with Police Scotland to gather information and provide all appropriate support,” she said. The Scottish Government’s resilience committee met on Tuesday morning and is due to meet again later. 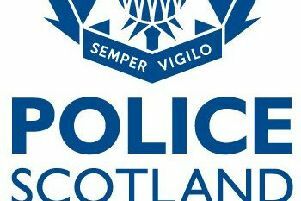 Meanwhile, Police Scotland have increased their presence, including armed officers, at locations such as transport hubs and city centres as a precautionary measure. The force will review security for all events taking place in Scotland in the next 14 days, including the Scottish Cup Final at Hampden on Saturday. Officers will also be present at motorway service stations to identify any possible witnesses returning to Scotland from Manchester. “My thoughts, those of this Parliament, indeed all of the people of Scotland, are with those who have lost loved ones or sustained injuries in this dreadful atrocity,” Ms Sturgeon told the Scottish Parliament. “There can be nothing more cowardly than attacking children and young people enjoying a fun night-out. Scottish Conservative leader Ruth Davidson said the people of Manchester had responded with “courage and decency in the face of cowardice and evil”. The values of “tolerance, openness and respect for one another” had been demonstrated by police, paramedics, doctors and nurses who had worked through the night, as well as the countless householders and taxi drivers who had offered assistance, she said. Scottish Labour leader Kezia Dugdale said: “Being at a gig is a moment of sheer joy. Last night, that joy was destroyed in a despicable act of cowardice. Flags have been flying at half-mast at Holyrood as a mark of respect for the victims, and a book of condolence has been opened.